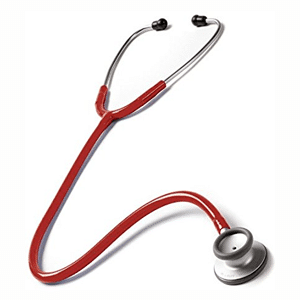 Best Stethoscope For Medical Students | Premium Choices Fit For Every Need! There are some who say you’re only as good as the tools you use in your professional life. Others say you are only as good as the tools you learned on. If the latter is true and you’re a medical school student, it is absolutely essential that you get your hands on a high quality stethoscope. Actually, a ​s is one of the few tools that a doctor uses every day, so regardless of which saying is accurate, a good stethoscope is pretty important. Of course, as a medical school student, you are only beginning your journey in the medical industry and likely aren’t very familiar with the different types of stethoscopes and the brands which manufacture them. Don’t worry, though, we’ve got you covered. We have compiled this handy list of the best stethoscope for medical students. Let’s be honest, as a student, you’re going to be living off instant noodles and cola that isn’t Coke or Pepsi. You’re probably not going to have a whole lot of money to spend on a stethoscope, which is why something like the Prestige Medical Clinical Lite Stethoscope is perfect kind for medical students. 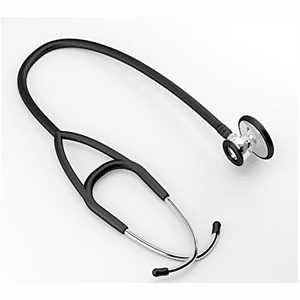 While this stethoscope is inexpensive – it generally sells for less than twenty dollars – it has everything one would expect from a high quality stethoscope. It is composed of anodized aluminum to ensure stability and durability, though it remains lightweight, weighing in at just four ounces. Clear and accurate auscultation is easily obtained, even if you are new to the art of using a stethoscope (yes, it's an art). 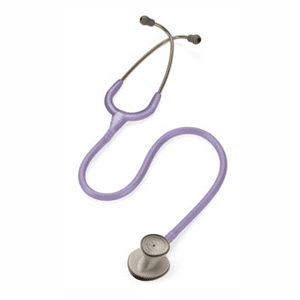 The Prestige Medical Clinical Lite Stethoscope includes two sizes of eartips as well as a spare diaphragm. Up next in our search for the best stethoscope for medical students is the MD One, a product of MDF, which is one of the most popular brands of stethoscopes in the world. The MDF MD One offers near unrivaled clarity for auscultation of the heart and lungs. A combination of a stainless steel, non-chill chest piece and soft eartips ensures incredible comfort for both the patient and the doctor (as a medical student you’re likely to assume both roles during your course). A major selling point of MDF products is that they have all been handcrafted since 1971, totally eradicating the errors which tend to occur in mass production. If you’re only starting out on your medical journey and have no prior knowledge of medical equipment, you probably haven’t heard of the Littmann brand. However, if you have done any sort of research in the past, you have likely seen this name come up again and again. Littmann is arguably the most popular manufacturer of stethoscopes in the world, having gained a large following through masterful engineering and unwavering dedication to quality. The Littmann Lightweight II S.E provides comprehensive acoustics, allowing you to hear exactly what is going on inside the chest of that rubber mannequin they use in medical colleges. A tunable diaphragm allows you to hear both low and high frequencies with a simple change of pressure. With this stethoscope, you get a free download of the Littmann Learning Institute app, an app designed to help medical students practice and perfect their auscultation skills. This makes the Littmann Lightweight II S.E one of the best entry level stethoscopes on the market. From its sleek, Apple-esque packaging to its soft eartips, the Passionate Care Premium Stethoscope is perhaps the most visually pleasing stethoscope on this list. Of course, it has a whole lot more going for it than just its looks. 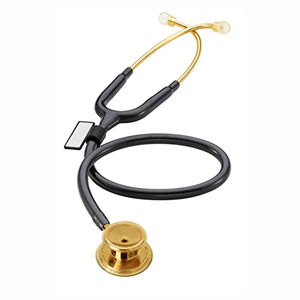 This stethoscope offers what the manufacturer believes to be the clearest auscultation of any stethoscope on the market; they even go so far as to offer a refund to anybody who doesn’t feel the Passionate Care Premium Stethoscope is the best stethoscope they have ever used. The chest piece picks up every thud of the heart as it pushes blood throughout the body while the eartips fit perfectly inside the ear, ensuring no noise is lost as it travels from the patient’s chest to the doctor’s (or trainee doctor’s) ears. Because of its beautiful presentation – more like a coffee table book than a stethoscope - the Passionate Care Premium Stethoscope makes the perfect gift for the medical student in your life as we approach another raucous holiday season. Throughout this list of the best stethoscopes for medical students, we have tried to present you with stethoscopes which are fairly inexpensive or at the very least affordable. However, let’s finish things off with something crazy expensive for those who have a birthday coming up. 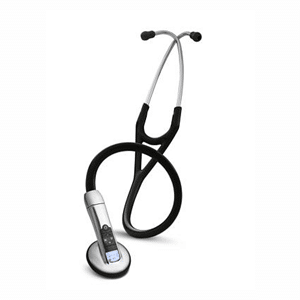 The Littmann 3200BK27 may very well be the future of stethoscopes, so unless you plan to be dragged kicking and screaming into the technological age you should probably start researching it now. 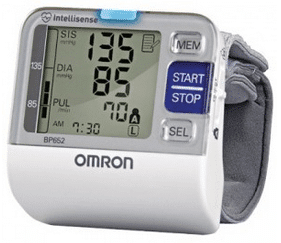 This is one of the best﻿ electronic stethoscopes which has the ability to record sounds of the chest for more detailed analysis, lowering the risk of a heart condition going undiscovered. It also allows for 24X sound magnification, making it possible to hear your subject’s heartbeat even through their clothing. There are some medical purists who brush of electronic stethoscopes as a fad and believe you can achieve everything you need to achieve through a traditional stethoscope. Of course, they’re not quite right. 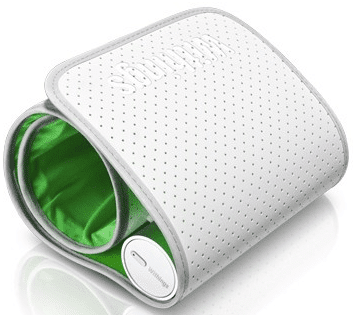 There are a couple of features an electronic stethoscope offers which just can’t be found on regular old stethoscopes. However, if you plan to spend a lifetime in the medical industry, you should probably familiarize yourself with the mechanics of a traditional stethoscope before purchasing an electronic one. As a medical student, your head is likely filled with fantastical ideas about how you’re going to save lives and make major breakthroughs which are going to advance humanity tenfold. There are some people who will tell you that medicine is a lot more boring than that and you’re probably not going to change the world. However, we’re not going to tell you such a thing. You can indeed change the world, but you need the right tools to do it. Any of the stethoscopes covered on this list will make the perfect entry level instrument and most of them will serve you well for years to come. 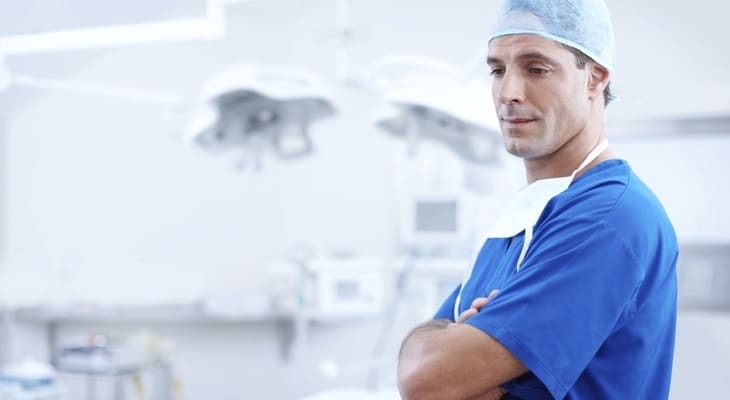 In fact, with certain stethoscopes featured in this article, you could conceivably go your entire medical career without ever needing to buy a replacement. We’re glad to have played a role, no matter how small, in your development as a medical professional.